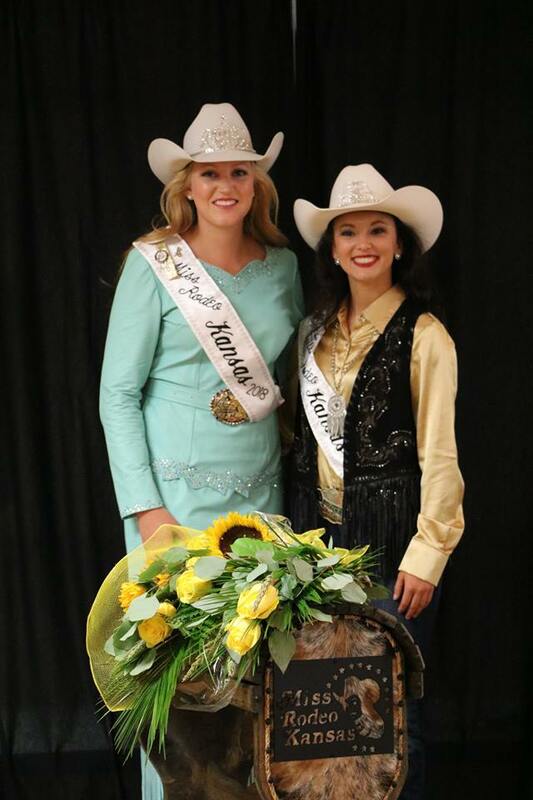 2018 Miss Teen Rodeo Kansas - Jaylinn Pfeifer!! A cowgirl at heart, Brooke Wallace from New Cambria, Kansas started riding horses when she was only two. Thanks to her parents, Mark and the late Julie Wallace, she was brought up knowing what hard work and dedication were all about when taking care of her animals. Brooke graduated from Kansas State University with a degree in Apparel Design while also being a member and officer of the rodeo club at KSU. 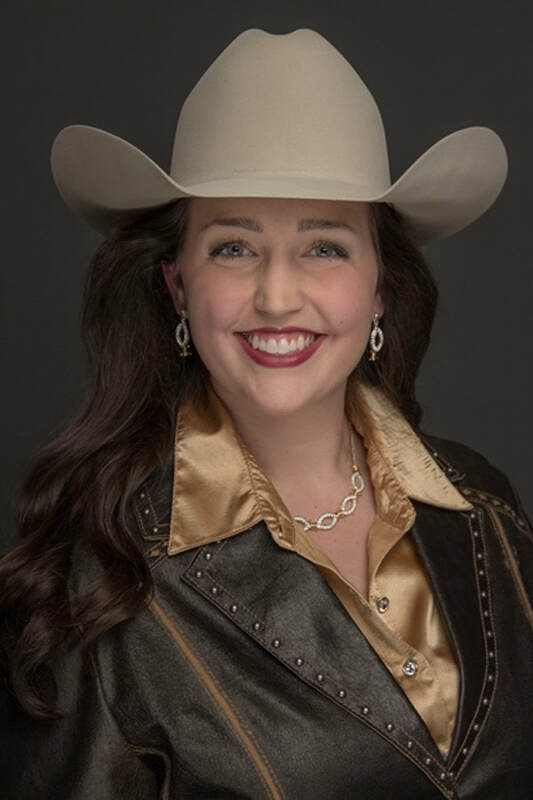 Brooke’s goal is to promote the sport of rodeo, by embodying our Kansas western heritage and showing these years of traditions can continue to enhance our constantly evolving society. She is blessed to have a community of mentors that have taught her the value of hard work and responsibility; the same values that are reflected in the western way of life. Mikhayla DeMott is the 22-year-old daughter of Mike and Robin DeMott originally from Rio, Illinois. She just graduated from Kansas State University with her bachelor’s degree in agricultural communications and journalism with minors in mass communications and leadership studies. She is currently employed by the Department of Communications and Agricultural Education at K-State. She has called Kansas home the last four years, and has family roots in the state. Throughout high school and college she has been active in leadership, scholarship and rodeo. She loves riding horses, competing and all things agriculture. She is working toward and pursuing a career in broadcast journalism, where she aspires to represent the western heritage in an accurate and effective way. Since her second year of college she has been a guest host for the television program, That’s My Farm, that features farmers and ranchers throughout Kansas. It is an honor to compete for the chance to represent the state she now calls home. Shannon McLachlan is the daughter of Debi Scott and Gerald McLachlan. The 22-year-old has had a passion for horses for as long as she can remember. Shannon is currently attending Pittsburg State University majoring in Communications and minoring in dance. Shannon hopes one day to not only teach kids with a passion for performance on the stage but also teach kids in the show arena. She loves traveling, spoiling her two rescue horses and her rescue dog, she also loves promoting her passion for rescue animals and the sport of rodeo every chance she gets. Emmie Noyes is the 16-year-old daughter of John and Lisa Noyes from Linwood, Kansas. She will be a junior this fall at Basehor-Linwood High school. Emmie is a member of the National Little Britches Rodeo Association, the Kansas Barrel Racing Association, and the National Barrel Horse Association. Emmie is active in her school’s National Honor Society and is also a member of her school’s varsity power lifting team. She wants to wish all of the rodeo athletes’ good luck as they compete during the Dodge City Roundup Rodeo! Jaylinn Pfeifer, the 17-year-old from Ellis, Kansas, resides on her family farm with her parents, Sheldon and April Pfeifer. She will be a senior at Ellis High School in the fall. In addition to competing in breakaway roping, goat tying, and barrel racing in Heartland Youth Rodeo, Jaylinn is active in FFA and 4-H. She enjoys showing cattle and increasing her cow/calf operation. Her favorite quote describes her completely: “And though she be but little, she is fierce.” Jaylinn appreciates all the hard working people who devote their time to make a rodeo run successfully and is excited to promote the great sport of rodeo. Pepper Kay Splechter was born August 16, 2000 by Mother Kelly Dene Gouge. As a child Pepper Kay spent a lot of her life on a family ranch raising horses and cattle. She spent most of her days helping her Grandmother and Grandpa sorting, and doctoring cattle, which is still a common task in her young adult days. As Pepper reached her young teenage years her interest in horses began to grow, starting out with fun shows, and growing into barrel races. Over the past few years, Pepper has spent a lot of time with her mother Kelly, and Step Father Jerad going from one-barrel race to the next. Her ambitions in life are to complete high school and further her education in animal science. She would also like to take her riding to the next level and someday compete in the National Finals.